Subtitling involves putting a written translation of dialogue or narration onto a screen. Examples include online video, commercials, TV programs, DVDs, and e-learning content. It has the advantage of being cost-effective and saving you time. Cost Effective Solution: Adding subtitles is one of the most cost effective solutions when modifying your video to another language. Rather than the expense of recreating the video in a new language, subtitles allow the audience to read what is being said. Takes Less Time: Subtitling also takes less time than other forms of localization or accommodating another language. You can invest resources in creating new projects, while your current content is simply modified rather than completely redone. 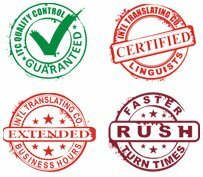 ITC offers subtitling services for those applications best suited for audiences that vary in language. Our service includes transcription, translation, and video editing depending on the needs of your project. With the latest technology, we can help with your subtitling project regardless of what part of the process you need.